The ever popular and once very hyped cryptocurrency project TRON has plans to provide greater privacy features for their users by implementing zk-SNARKs. Justin Sun, the founder and CEO of TRON, during a recent interview by the Bad Crypto Podcast talked about the progress of TRON’s technology, developments, and adoption. During the interview, Sun talked about a variety of things including delegated proof of stake governance, the impact of blockchain, integrations with BitTorrent, and most notably the implementation of zk-SNARKs. zk-Snarks (Zero-Knowledge Succinct Non-Interactive Argument of Knowledge), are a novel form of zero-knowledge cryptography, also known as zero-knowledge proofs. The technology was first used by ZCash (ZEC) and other cryptocurrency projects later adopted the technology. The technology enables the possibility of shielded transactions and encrypts the crypto amounts being transacted. Therefore, with the use of zk-SNARKs, any one person or entity cannot analyze the ledger to discover wallet ownership of the parties involved in the transaction. Zk-SNARKs also encrypt the transaction amount for further privacy. Unlike public ledgers such as the Bitcoin blockchain, cryptocurrencies utilizing zk-SNARKs will allow users to remain private and anonymous by shielding the sending and receiving transactions. According to Sun, the TRON foundation has plans to implement zk-SNARKs as early as the first quarter of 2019. Once implemented, users can transact TRX tokens with a far greater level of anonymity and privacy. As a result, TRON will join the group of other privacy-centric cryptos such as ZCash (ZEC), Bitcoin Private (BTCP), Monero (XMR), or Verge (XVG). Sun explained that privacy and anonymity is much needed in today’s data-driven society, as both websites and search engines are monetizing user data, which affects users’ privacy in a variety of ways. Sun explained that with the future implementation of private transactions on the TRON blockchain, users will maintain control. They can enable private addresses and untraceable transactions so companies and entities cannot track them. Sun also explained that not all TRX transactions will be private. He said users can decide whether they want to process a private transaction. While the option to do this a is nice feature, the ZCash development documents state that if you limit the number of users using zk-SNARKS, it becomes increasingly possible to deduce certain transactions. TRON has been very busy during this crypto bear market and continues to make new announcements and developments almost daily. For instance, the TRON blockchain recently surpassed Ethereum in terms of dapp usage. The TRON foundation is funding the innovation and development of the blockchain-based gaming industry through a 3-year plan with $100 million in funding. The foundation also launched a $1 million Accelerator Program to spur innovation and development of dapps on the TRON blockchain. 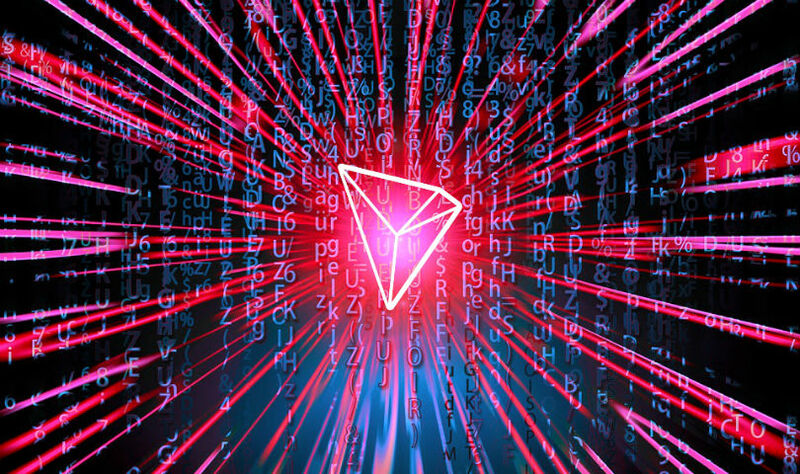 Earlier this year in July, TRON purchased BitTorrent for $250 million and is paying seeders with TRX through their Project Atlas. All in all, TRON appears to be killing it in terms of development during this gloomy crypto bear market. For a crypto project that was all hype with no blockchain or products just one year ago in 2017, they have come a long way and have big plans and goals for the future. Ethereum/USD trading added on Bittrex!